Puckered stitching and support in perfect harmony. Nothing makes relaxing more tempting than McGee’s easygoing style. McGee features plush, pillowed padding, a high back, and a fully padded footrest. Puckered stitching details create harmony between the arm pads and headrest pillows. 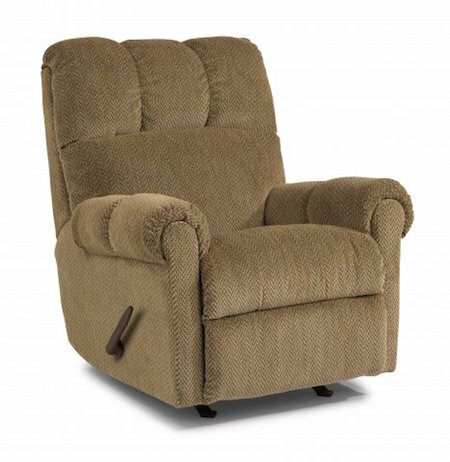 Rock back and forth while relaxing, or effortlessly recline at multiple angles from an upright to a fully reclined position.